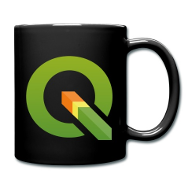 If you are a fan of QGIS, you might want to visit our store so you can buy some momentos to show off your favourite desktop GIS. 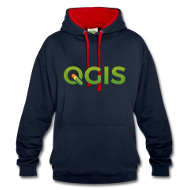 We have a number of great t-shirts, mugs, hoodies, caps and so on so pay a visit to one of our stores below! 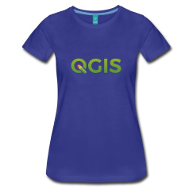 Buying QGIS apparrel not only lets you show off the fact that you use QGIS, for every t-shirt sold a commision is given to the QGIS project. Col·laborem amb spreadshirt.com.. Els seus serveis han localitzat botigues arreu del món i us proposen la que està més a prop per estalviar costos de tramesa. Here is a list of some of the “shops” around the world, but feel free to try to find one for you own country, or ask spreadshirt to open one in your country.